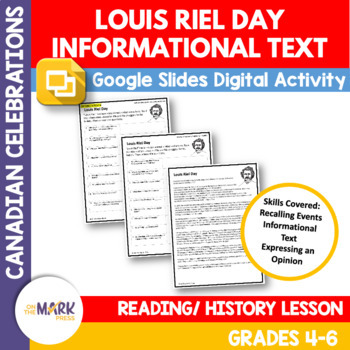 Louis Riel Day celebrates the life of a rebel who fought for the rights of his people, the Metis. Share his life story and this celebration with your students. The follow-up focuses on the students ability to recall events and the ability to express an opinion.